What does Living Fabulously Fierce Mean to You? To me, living fabulously fierce is all about learning to live each day to my fullest. As stated in the LFF mission and description, it is the same for me-I live each day trying to inspire women and young girls around me. Each day, I am determined to help women own their beauty. While in my day to day this is usually in the form of their hair, for me it is much deeper than their hair and that is why, no matter the age, we talk about diet, spiritual health and of course that is connected to the best hair you can have. I want my clients and the young women in my life to walk away from me changed from the inside out. It is my mission to elevate women and girls confidence permanently! If you had to describe your brand in three words, what would those three words be? the top 3 are ministry, authentic and empowered. I have been given the power and abilities to encourage women and I can’t do that without including GOD, who has saved me. Small discussions about having faith, and accepting the beauty that was GOD-given are just snippets of our talks. My approach is what allows women to feel empowered to attack and conquer the next task, or negative mindset with courage and confidence. I am authentic about who I am and where I’ve been and what I’m still working on. This makes the women I speak to feel as if they can face their challenges and not be ashamed of what their past and present are made of. 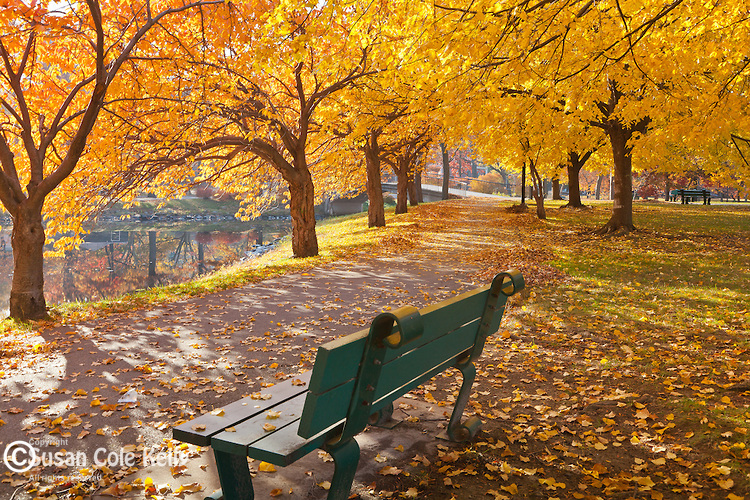 The future is a few minutes from that moment and can be different. I’m vulnerable so that they can see we all have a testimony and sharing it can facilitate change in others! How are you intentional about your personal brand? Each day, I have to pray, meditate, love me intentionally and faithfully. The intent is always there to do that, but the consistency is difficult and has to be done or I move further away from my goals. Loving me, allows me to love my clients and young women in my life more intently as well. I also do small things like compliment women every day, smile and say hello to women passing just to set an example. I intentionally try to look the part of a stylist, dressed well, just enough make-up, great accessories, and of course my hair is always done or that would be an incredibly mixed message. I pray, workout, meditate and live intentional to my purpose. I try to not let the small things change the course of my day. I try not to let ANYone or ANYthing steal my joy and change my course for the day ahead. If there is anything you could do to either reinforce or enhance your brand, what would that be? Wow, absolutely!!!! That is like an essay question. Haha. I would love to own my own salon which would be all about building my brand and reaching the masses of women I dream of reaching! That is coming!!! My greatest accomplishment is still yet to come! I’m happy to share that I am pregnant and GOD-willing, my pregnancy is a healthy one and goes to full term, and a baby is born, he/she will be my greatest accomplishment thus far. Next on that list is definitely opening my own salon and growing from there. Biggest Challenge that you’ve overcome? My biggest challenge thus far has been learning to truly love myself physically, no matter my size. Loving me and all GOD has placed in me that HE didn’t put in anyone else. Believing how uniquely I was created and not comparing myself to anybody else! favorite pastimes are singing, working out, cooking and spending time with my husband! Singing is something that frees my soul and causes people to listen when I open my mouth. It’s a blessing from GOD. Working out is an absolute in life, to feel good and live the best life I can. Cooking is also therapeutic, and I love challenging myself with new healthy recipes. And last, but never least, I love spending time with the best friend GOD created for me! He is the best ending to my day! How do you recommend other women stay true to themselves and live their authentic personal brand? Never stop learning who you are and embracing it. Love yourself more each day and smile at challenges. Pray, and be grateful for all you have and believe more is on the way. Don’t allow naysayers to deter you and be compassionate to those who are lost and trying to figure out so many things you already have! What advice do you have for young girls, our up and coming fabulously fierce, around being their best selves or anything you’d like to share with them in particular? When I speak to young women and girls, I see myself. That automatically gives me a level of compassion that reaches the true depths of my heart. I want them to know that the greatest power is loving yourself as you are! No one can take that from you, so you have to learn to take the best steps in choosing friends, food and fun! Make those times help uplift them and change them positively. If they have more moments like that then, the possibilities of living fabulous fierce are so much greater! I honestly can’t believe that with all of the factors that have been presenting and our “conversations” about branding, I have yet to set a factor on being authentic! I think it’s simply because I see this characteristic as one of the primary foundations of living fabulously fierce that I’ve taken for granted its influence and significance on everything else. Exactly what is claimed-showing up as you truly claim you are. *Being fully trustworthy as according with fact-building and maintaining credibility. Participating in the Multicultural Women’s National Conference this week, we spent a great deal of time talking about personal branding as I led a session on executive presence and moderated a panel on communications and nurturing connections. Of course during these conversations I spent a great deal of time stressing the importance of staying true to who we are, being authentic, while exhibiting agility and the ability to flex without losing ourselves. For some of us, this comes very naturally. We’ve figured out this balancing act and get through it quite seamlessly. For others of us, it really is a skill we’re developing and honing, mostly because we don’t yet see that we can actually do both without presenting a contradiction. In time, it will be more seamless for us as well. How does this happen? Of course with time, but what else? Well…. Staying true to who you are is really all about knowing who you are, what you stand for, what you have to offer this world. When it comes to the professional side of things, no matter what our focus area (s) may be, this is directly tied to our unique proposition value and how that stands out and above the rest. So, this requires a great deal of self-awareness that guides our mode of operating. Exhibiting agility and the ability to flex without losing yourself is where the balancing act comes into play. On some level, this is really all about “when in Rome….”, we all know how it goes. But what it is more about is the skill of flexing your style to operate in a way that draws in the audiences you’re targeting and influencing, not to change who you are, but to leverage the platform you’ve been given to share your authenticity. completely change who I am between 9 and 5 and then be more of myself after any times outside of those hours. NOT!!!! What this means is that you just have to flex your style to leverage the platform of a conservative environment to show your authentic brilliance, while not losing yourself to what may feel like uncomfortable conservatism in the process of flexing. Again, a balancing act indeed! Authenticy: Truth…Agility…Flexing. How will you take on this challenge? In the spirit of sharing just a bit of what I got to experience at this week’s conference. Vernice “FlyGirl” Armour’s picture below really captures what I’ve just shared: Balancing Truth with Agility and the ability to flex…. 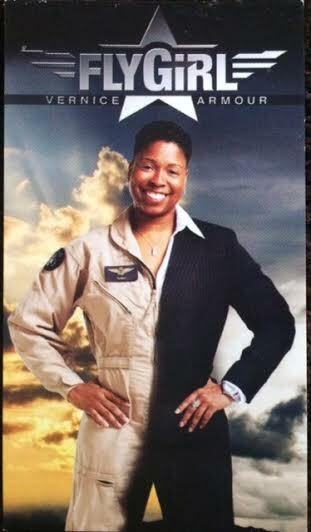 A Fighter Pilot (FlyGirl) now leveraging the motivational speaker platform with corporate audiences. It doesn’t get much better than that in the game of authenticity.